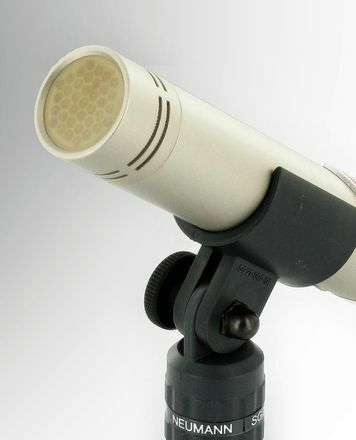 Condenser MicrophoneThe MCE 530 is a cardioid condenser microphone suitable for both project studios and semi-professionals. Its plastic casing is strengthened with carbon fibres and is extremely light and rugged. Its small and short design permits flexible and unobtrusive positioning. The microphone requires phantom power of 11 to 48. Its frequency response has been optimised for miking instruments and choirs. Using the WS 53 wind screen the MCE 530 is also an ideal speaker’s microphone in churches and halls. Due to its light weight it can be easily mounted onto goosenecks. Great quality for the price, I use it for live percussion setup, it sounds great on hand percussion, the only small negative that it is too sensitive when used outdoors and picks up the sound of the wind loudly. using a wind guard will solve the problem. I am actually buying another one soon so i can have a stereo setup for my percussion. I have tried it using the same mic owned by a sound guy I met in one gig, and the sound was much better and fuller.